Purchase of The Gout Code™! (You're only going to see this page once (ever), so you need to read every word very carefully. Yes! It's that important.)" journey as simple and fool-proof as possible. In The Gout Code™, I lay out the principles of the diet that gout patients should follow to cure their gout. While these principles are fairly easy to understand, many have asked me if I could come up with a set of recipes and meal ideas that embody these principles so that you don't have to worry whether you are eating the right foods or not. In my new Anti-Gout Cookbook™, I have done just that. This cookbook contains 150 easy-to-prepare recipes in order to make your gout healing journey as simple and fool-proof as possible. This will make sure that there is absolutely no way for you to go wrong in applying The Gout Code™ system, and will turbo-charge your body to enhance the healing process. 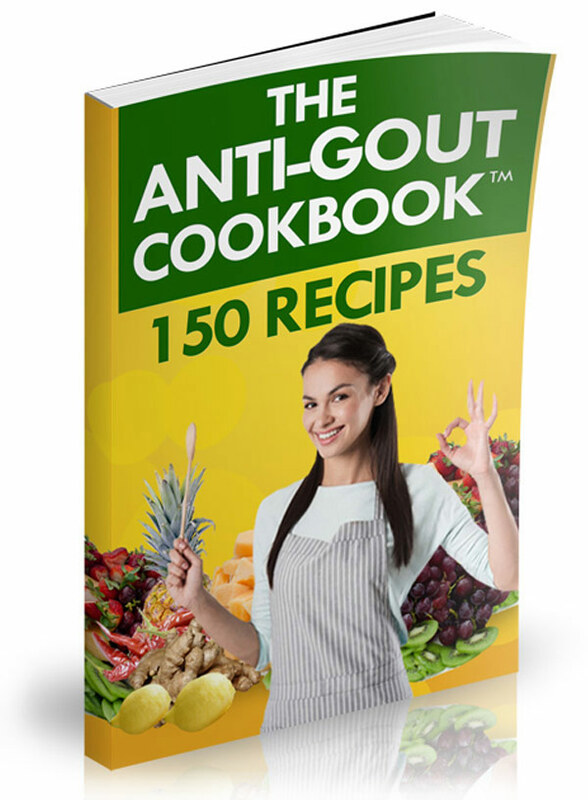 The Anti-Gout Cookbook™ is the perfect add-on to The Gout Code ™ program as it provides everything you need to eliminate your gout completely and permanently!